Recently, we created a small node.js module for handling environment variables better. It’s called dotenv and is inspired by the rubygem of the same name. Building modern web applications requires a handful of environment variables that vary between deploys. The tenets of a twelve-factor app describe this well. For example, if you are building your own SaaS product, you might have a Stripe secret key to process payments and a url to your Postgres database. Both of these will be different between production and development. They are easily changeable between environments and even isolated deploys. This leads to less complex deploys which saves time and money. There is a decreased chance of the production keys leaking out into the wrong hands or to a junior developer’s hands. This leads to less chance that your database might maliciously or accidentally be wiped. Dotenv will help you get these advantages for your node.js projects. That’s why we think you should use it. 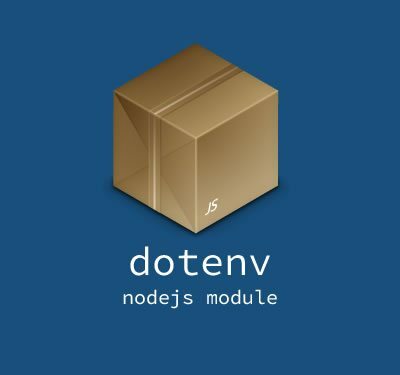 To begin, add the dotenv module to your node.js package.json file. Then as early as possible in your application require dotenv and call load(). Finally, create a .env file to store your environment variables in the following format. It is recommended you do not commit this file to version control. Now, whenever your application loads, these variables will be available in process.env. Enjoy. Learn more about dotenv at https://github.com/scottmotte/dotenv. Also, some alternatives to dotenv are node-config and nconf.